Over the course of my first 30 days writing on Medium, I noticed that, with reason, what gets highlighted the most are powerful quotes from wise and/or “successful” people. As such, I’ve accumulated lots of them during that period. This article contains some of the most powerful ones I’ve collected. Let these strong quotes inspire you; motivate you to be what you want to be; motivate you to dare act, change, and think differently. Feel the power of these quotes and become unstoppable. “A mind that is stretched by a new experience can never go back to its old dimensions.” — Oliver Wendell Holmes Jr.
Bookmark this article and refer to it regularly. I know I will. Feel free to share some of your favourite quotes in the comments below. Arnold’s story is an amazing one. If you haven’t read his biography: “Total Recall: My Unbelievable True Life Story”, add it to your list. There’s something for everyone and it’s incredibly inspiring. “I knew if I exposed only my better body parts — my arms, chest, or deltoids — all I’d get from my peers would be wonderful comments and I’d soon forget about my horrid lower legs, so I continued to wear the cutaway sweatpants that invited ego-bruising pain … and it worked. I trained them first every workout, and very often I did a few sets at the end of my workout.” — Arnold Schwarzenegger. How often do we expose our weaknesses? I have really small legs for a man. I’ve always been ashamed of them. In fact, I was teased for it when I was younger. For a long time I would not wear shorts because of that. I didn’t want to expose them. I didn’t want to expose this weakness. I was afraid of judgement from other people. I still am actually. Aren’t we all? But by exposing my legs at the gym now, I am so much more motivated to work them out. It’s very hard for me. I’ve got weak legs. But at the gym, no one is judging me for it. They get it. They see that I’m working on my weakness and respect that. I just mentioned one of my body weakness, like Arnold, but this really applies to everything, not just the body. It can be a skill you can’t pick up, a fear you have, in business, at work, anything really. I can hardly ride a bicycle. I’m afraid of heights. I’m afraid of drowning, etc. Exposing your weaknesses is incredibly hard to do. It’s made a little easier by having more self-confidence. But, there’s a key lesson here: expose your weaknesses in the right environment. I prefer not to expose my legs outside the gym. Out of context, people will judge me negatively for it. Unless you have Arnold’s confidence, I suggest you do that same. Expose your weaknesses in environment where people will be more open to seeing your weakness. And gradually expand that environment. For me, I’ve grown my legs considerably this month. They’re still really small, but less so than before. Little by little, I’m becoming less ashamed of them. If I didn’t expose on my legs, chances are I would have worked mostly on my arms, where I have a clear strength. So let’s all learn from Arnold! How do you hide them? How do you expose them? What are you doing towards them? Let’s help each other out. Feeling brave? Post in the comments. You’ll see it feels good to let it out there, in a non-judgemental environment. Think about this simple idea: Productivity leads to wins. Wins lead to momentum. Momentum makes you unstoppable. Being unstoppable means that motivation almost becomes irrelevant. Waking up at 5:45am? Piece of cake once you’re unstoppable! Going to the gym? Piece of cake once you’re unstoppable! Finishing a hard, or a boring task at work? Piece of cake once you’re unstoppable! Working on the same game for 2–3 years? Piece of cake once you’re unstoppable! Learning a new skill? Piece of cake once you’re unstoppable! But this all starts by being productive. And being productive is not all about working more than others, it’s also about working more efficiently. Differently. Thinking outside the box. Apply the following 5 tips. Let them inspire you to come up with your own. Let me and the world know what works for you in the comments. Let’s all be productive and build our momentum! Is an orange a single component? Well, no. When you break it down into its smallest components, there’s quite more to it. A lot of our tasks are similar. For some reason, we don’t dare break it down into smaller components. I personally aim to break everything down into about 10–15 minutes tasks. Even though I consider myself to be highly motivated, I still need a “win” or two to start my day. After completing easy tasks, I have the motivation and energy to tackle the real hard problems. Working as a programmer, I typically start with an easy bug fix or small UI change that can be done in 10 minutes or less. Pushing the code up and moving the Trello card to “Done” gives me the drive to keep going. Working out? Do 10 push-ups as you wake up. You’ll be ready to go to the gym. Writing? Start by praising a writer you like. Or even easier, start by making your bed. I personally find it a little too easy and doesn’t really work towards my own personal goals, but it works for other people. This greatly helps with waking up in the morning! At the end of my workday, I write down all the tasks I’ll be working on for the next day and review it before going to bed. This helps me wake up with a sense of purpose. I know what needs to be done, and I want to do it! My favourite ways to re-energize are: Power Naps, Coffee Naps, Walking, Showering and Meditating, in no particular order. Remember that being unstoppable all starts from being more productive. Whatever you find hard to get motivated on can be made simpler with a series of small productivity wins. The tips above help you manage your expectations, but also help with respecting your body and mind. Have you tried applying any of these tips? What are some of your personal favourite tips? Feel free to share your experiences in the comments and inspire the rest of the world! As I’m writing this, I haven’t touched the dreadful snooze button in 15 days, waking up at 5:45am every morning. To be honest, I don’t even know why our phones make it the easiest button to press. It should be hard to snooze. So hard that you wouldn’t even want to do it anymore and just wake up. Anyway, since this year, I haven’t touched it. Waking up super early is not only easy now, it’s mandatory in my mind. Just this morning I was in pretty deep sleep, dreaming about fighting a dragon in a sea of flames. I was standing on a floating chair, trying to attack the dragon with a sword attached to a cord. Hilarious dream of course, but I guess not out of the realm of possibilities for a video game designer haha. Needless to say, it was a very captivating dream for me. Anyway, the alarm went off as I was fighting this epic dragon, which clearly had all the advantages in the world to win against me. But I was close to winning, and that damned alarm went off, taking it all away from me! I had a good reason to hit that snooze button. At least my brain did. I so wanted to know the end of the story! But I didn’t press the snooze button. With a jam-packed schedule like that, I don’t have time to hit the snooze button. With my goal of eating 4,500 calories per day, if I delay my schedule, that means I’ll need to push everything on that list down, ultimately meaning that I would have to skip the nap, the meditation or the free time at 9pm. Or delay the time I go to bed. I don’t want any of that. When I see it that way, it takes less than 1 second to convince my brain to let me out of bed. It’s already a tight schedule, I don’t want it to be even more difficult to accomplish. You will never be able to stop using that dreadful snooze button unless you set clear expectations of what needs to be done for the day. Be specific, and believe in what you’re going to be doing. Not achieving what’s on your schedule for your day should be so undesirable that the brain will choose to let you out of bed, and to hell with the epic dragons! I decided to write one article a day on Medium or Quora. I’m sure you’ve had similar experiences when people thought you were doing something crazy. Something that’s out of the norms of the society we live in. Something they thought you would fail because the odds were against you. Sometimes you gave in, sometimes you persevered. Which times do you regret the most? I’m willing to bet it’s the times you listened to them and gave in. Of the things above that people said I was crazy for, I succeed at all of them. Every time I “quit” something, I got something better in return. The condo I bought, I sold for 28% more than what I paid for, after one year only. I started four companies. Some were “successful”, some “failed”. The lessons I learned from both made me a better person and a better entrepreneur. Not only did I gain 6.9kg of mass, I lost 3% body fat. I’m doing that again this month. Traveling the world for a year changed me in so many good ways. I always considered myself an introvert. That’s definitely not how people see me today. I’m not afraid to approach people anymore. I’m more confident and I’m more proficient at speaking. In multiple languages now. And I used to be a much pickier eater. Now I eat many more things. The grant I applied for, I got it two years in row, beating some of the best Canadian video game studios. My studio has no track record, and I was competing against much larger and successful game studios. In my very short journey as a writer (7 days to be precise), I got a top answer on Quora and 3 articles published by The Startup. And I’m not saying any of this to brag. I’m saying to make you believe in your crazy ideas, because they can work. Think about times when people said you were crazy. Make a list. I’m sure it didn’t only happen once. How has not listening to them changed you? For better? For worse? Do that same exercise I did above. Can you see that you’re on the right track? Dare do things out of your comfort zone — out of any normal person’s comfort zone. Be special. Be on the right track. The right track for you! If that doesn’t inspire you to be crazy, you’re crazy(?). Feel free to leave a comment about what people thought you were crazy for and why they were wrong. 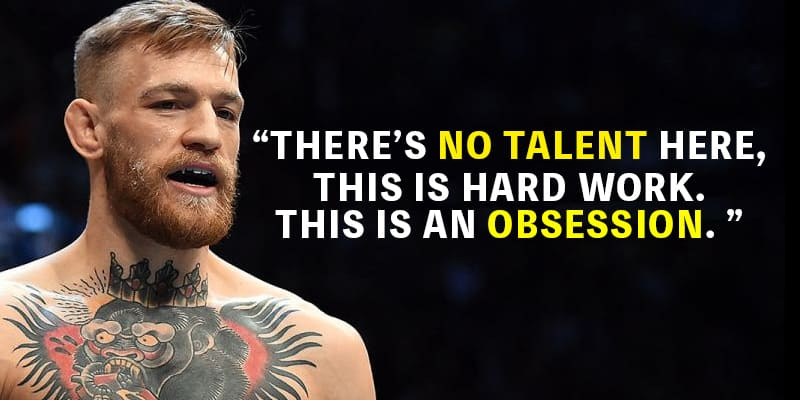 Can You Handle the Obsession Needed to Reach Your Most Insane Goals? We all have big goals, wether they be short term or long term. Goals that, even in our wildest dreams, would seem unachievable. We dream about them yet never act on them, simply because we “failed” once or twice in the past. The truth is, we just weren’t ready for the obsession needed to reach them. Think about a goal you set yourself and “failed”. Why did you not “succeed”? Did you REALLY do what was needed to accomplish it? Were you obsessed with figuring how to do it, came up with a solid plan and executed, executed, executed? Not a lot of people can handle it. This month, I decided it was time for me to put on 5kg of muscles. I have my own reasons for that, but that’s not the point of this story. Notice how precise I was. Not “some” mass. Precisely 5kg. I original decided for 4.5kg, but you know, why not push myself even harder! Be precise in your goals! I’m an ectomorph, so gaining even 1kg in a month is hard work. So imagine how insane 5kg is! Hard for non-ectomorphs to comprehend this, but it’s at least as hard as losing 5kg for a mesomorph. I need to eat at least 4k calories per day, split at about 40/40/20 for proteins/carbs/fat. I’m aiming for 4.5k. Those calories need to come from high quality foods. I need to do full-body workouts, 3 times per week. I planned every meals I would eat for the month. Sounds easy but it’s not! I obsessed over every little detail. I looked up all the nutrition facts for each ingredients I would put in my dishes. I had to know where the calories came from! Heck, I’m even eating broccoli for its benefits! I came up with 3 meals, 2 snacks and 2 shakes I would eat/drink every day, leading to 4,506 calories. It’s basically 642.86 calories every 2 hours. I’m obsessive enough that I’m willing to eat the same 3 meals for a month, for the sake of achieving that insane goal. That part is beyond hard. With all that food, I’m always close to throwing up. It’s way too much for my 56kg body to handle. Heck, Dwayne Johnson needs about the same to maintain his weight. That guy’s a beast. In theory, I need 2036 calories to maintain my weight. So it’s more than double. That workout is no walk-in-the-park either. It is REALLY intense! I very much struggle to even do half of it. Lifting a pen or going up/down the stairs afterwards shamefully painful. 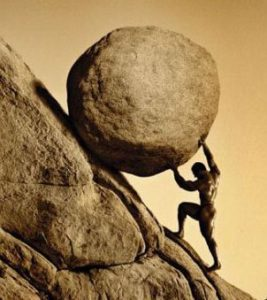 Like the famous idiom says: “No pain, no gain”. It’s the truth. And the hardest part is saying “no” to things I would normally say “yes” to. Yesterday there was a going-away party for a friend, and I drank nothing, except for water. I have a strict no-alcohol policy for this month; it defeats the purposes of eating healthy and is very counter-intuitive to my goal. I also had to say “no” to going out to dinner where there would be nothing I could eat, or quantify stealthily enough to not look insane. I have to let friends down for this month. Social pressure is hard but I persevere. Are you ready to handle the obsession? Are you ready to fantasize about precision on all aspects of your goal? Are you ready to do things that TRULY push the limits of your body and mind? Are you ready to disappoint people you care about? How many people around you inspire you? How many people in your life have inspired you? Do you even think about that? Have you ever thanked them? I originally started off writing a completely different story about a co-worker who really inspires me, until I realized I never thanked her for what she inspires me for. Then my brain branched off to other co-workers who inspire me in the their own way and realized than so many people inspire me, yet I haven’t really expressed any gratitude to them. Yet. Take a minute and think about it for a moment. You’ll see it takes no time to realize things other people do that inspire you. And it doesn’t have to be people you know really well either. Heck, it could even be someone you hate! You don’t have to agree with everything they do. 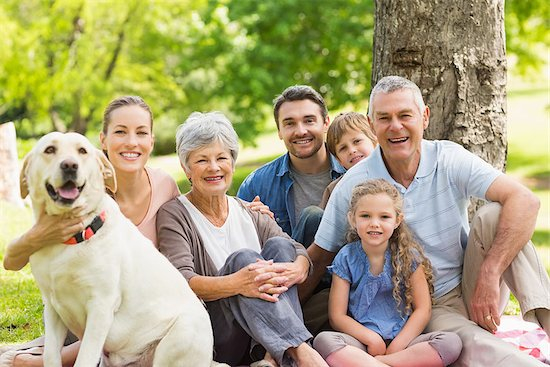 You rarely give much thought about recognizing your family because you take them for granted. When you take the time to think about the things they do, you’ll realize how much they’ve influenced your life decisions. My mom is an incredible person. She raised me and my 3 brothers by herself. My father left when she was pregnant with my younger brother. She was left with nothing. We obviously grew up poor, but my mom made sure we always had food and lodging. She did everything she could to earn enough money while making sure she had time to spend with us. I’ve learned my perseverance and hard work from her and will always thank her for that. My wife is a gift to everyone. When she’s not organizing vaccination camps across the poorest countries in the world with Médecins Sans Frontières, she’s raising hygiene awareness through Sundara, an NGO that recycles hotel soaps and re-distributes to communities in need around the world. How can I not be inspired by her? No one has a perfect family, but everyone can find things some family members inspire them with. Give it some thought and you’ll find the good in them. It’s a simple exercise: List the five people you spend the most time with now. Last month. Last year. Didn’t you pick things up from them? Good or bad? What did you pick up from them? Anything that inspires or inspired you? Did you thank them for it? build a medium-scale international co-working space in a city, or country, not known for diversity. When you stop to think about it, you realize the good in people. Be grateful and give them the thanks they so deserve. They didn’t really do it for you after all. Most of the time, they’re doing it “for their own good”. Because they want to do it. Nonetheless, a simple thank you will inspire them to keep going. You don’t know, but maybe the thing they inspire you for is hard for them and they were thinking of quitting. Thanking them proves them they’re on the right track and will inspire them to continue. 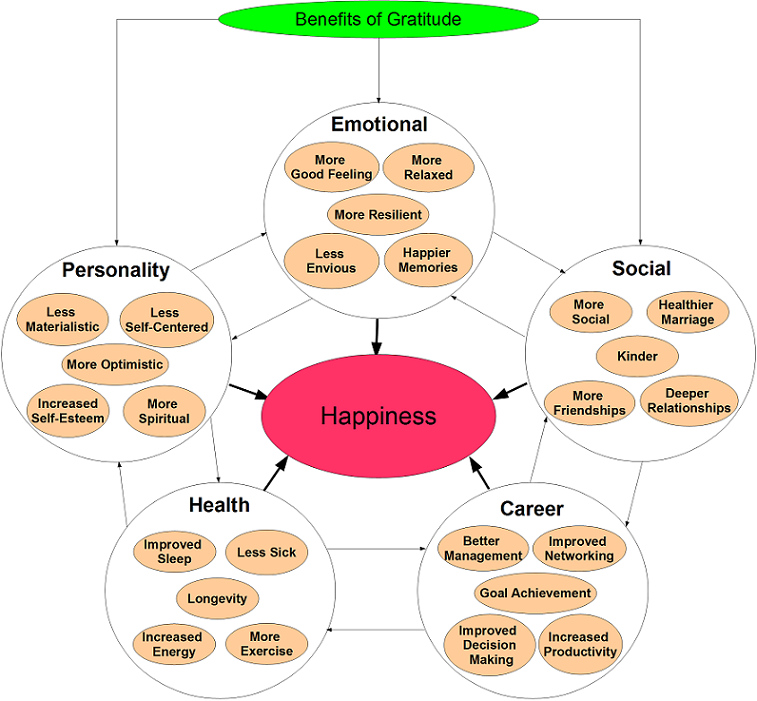 The graphic below summarizes very well why thanking them is good, both for you and the person receiving the gratitude. However, don’t think of thanking someone for your own benefits, you’re doing it for the wrong reasons. Thank them for them. That is true gratitude. Now that you’ve done it once, do it again. Yearly, monthly, weekly. Daily even! You’ll be a better person and be happier for it.